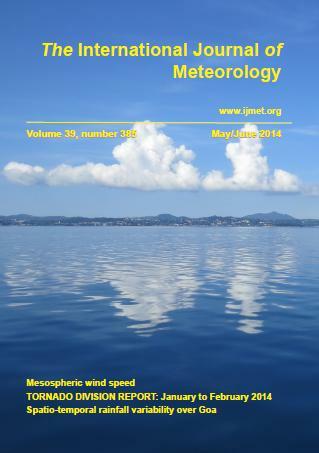 Just a quick update on the final IJMet of 2014, it’s currently in the latter stages of production and should be with subscribers within the next few weeks. Don’t forget we always enjoy receiving your images and articles – keep them coming! 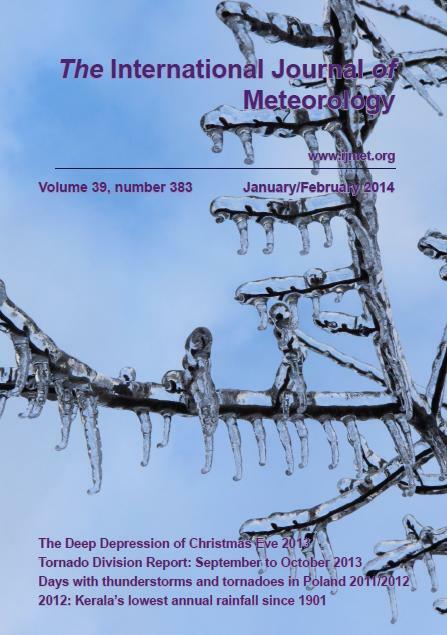 The latest pri nt edition was dispatched to subscribers on Monday 8 December 2014. If you want to purchase a print copy please use the ‘Contact Us’ form. 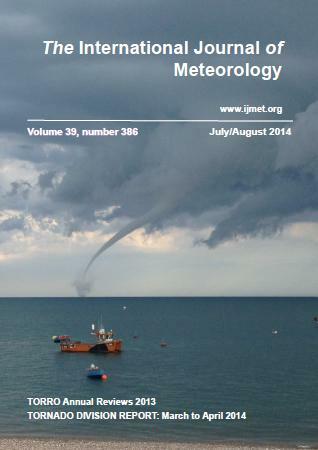 The IJMet Sept/Oct 2014 issue is currently being printed and will be dispatched as soon as possible. We are currently looking for articles and images for 2015 – to contact us click on the menu bar above. 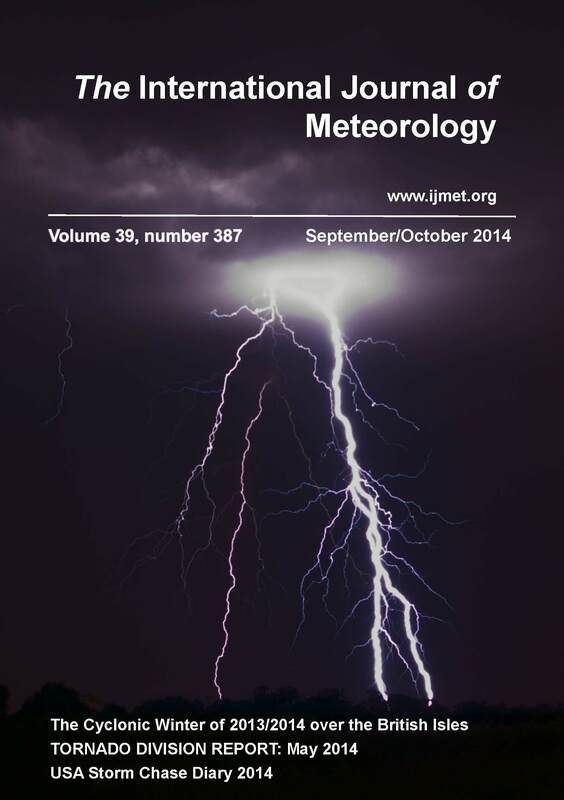 The latest print edition was dispatched to subscribers on Thursday 2 October 2014. 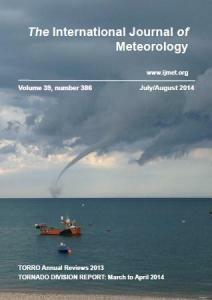 The latest print edition was dispatched on Friday 25th July 2014. 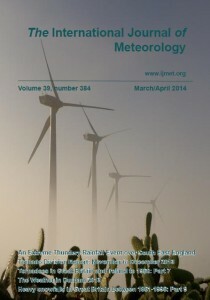 The latest print e dition of the IJMet was dispatched on Friday 9th May 2014. The latest IJMet was posted out to subscribers last week. It is also available on our new digital platform. There are articles on the Deep Depression of Christmas Eve 2013. The TORRO Tornado Division Report for Sept-Oct 2013. 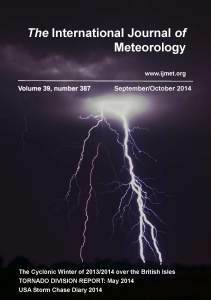 Days with Thunderstorms and Tornadoes in Poland 2011/2012 and 2012: Keralas lowest annual rainfall since 1901.